Making their first appearance at Fraze Pavilion this summer! 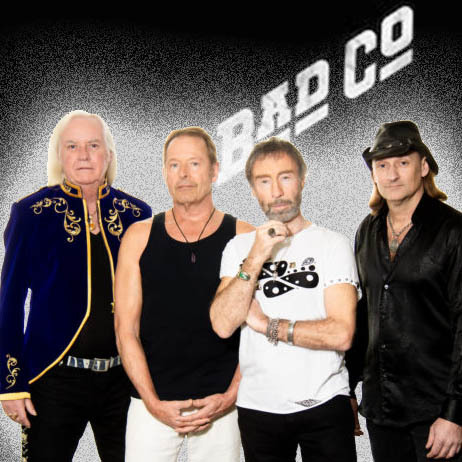 One of the most acclaimed bands of the classic rock era, England’s Bad Company has put its indelible stamp on rock ‘n’ roll with a straight-ahead, no-frills musical approach that has resulted in the creation of some of the most timeless rock anthems ever. Led by the incomparable singer and songwriter Paul Rodgers, arguably the finest singer in rock ‘n’ roll. Bad Company was an instant hit worldwide. Their 1974 self-titled debut album went platinum five times over and featured the smash hits, “Can’t Get Enough,” (a Number One single) and “Movin’ On” along with electrifying rock anthems “Ready For Love,” “Rock Steady,” “Seagull” and the title track, “Bad Company.” Their multiple platinum success continued with the release of their next 5 Chart Topping Albums whose hits included the Grammy Nominated “Feel Like Makin’ Love,” “Shooting Star,” “Good Lovin’ Gone Bad,” “Run With The Pack,” “Honey Child,” “Silver Blue and Gold,” “Burnin’ Sky,” “Rock n’ Roll Fantasy,” “Gone, Gone, Gone” and “Electricland” songs that are radio staples to this day. In 2019 Bad Company have decided to select just 21 shows, and Fraze Pavilion is one of them. Don’t miss this classic rock evening! 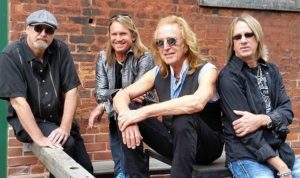 Are you ready to take a “Slow Ride?” Enjoy great Rock ‘n Roll/Boogie & Blues with the band with as high energy and intensity as ever, Foghat’s audience now consists of fans of all ages. Kids who learned about Foghat from Guitar Hero III, the Dazed & Confused generation & the boomers who bought their Vinyl or 8 tracks! Foghat came full circle with their 2016 release Under the Influence. Drawing from their collective musical influences, the band not only brought in some special guests from their past who helped launch and inspire the Foghat story, but also invited some new friends into the mix to continue the journey of this never idle band. Don’t miss an extraordinary evening of classic rock!